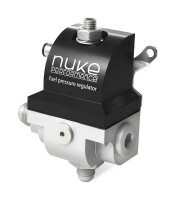 Used in motorsport worldwide, thanks to its outstanding performance and quality, the Nuke Performance FPR90 fuel pressure regulator maintains steady fuel flow even over 1000 HP. 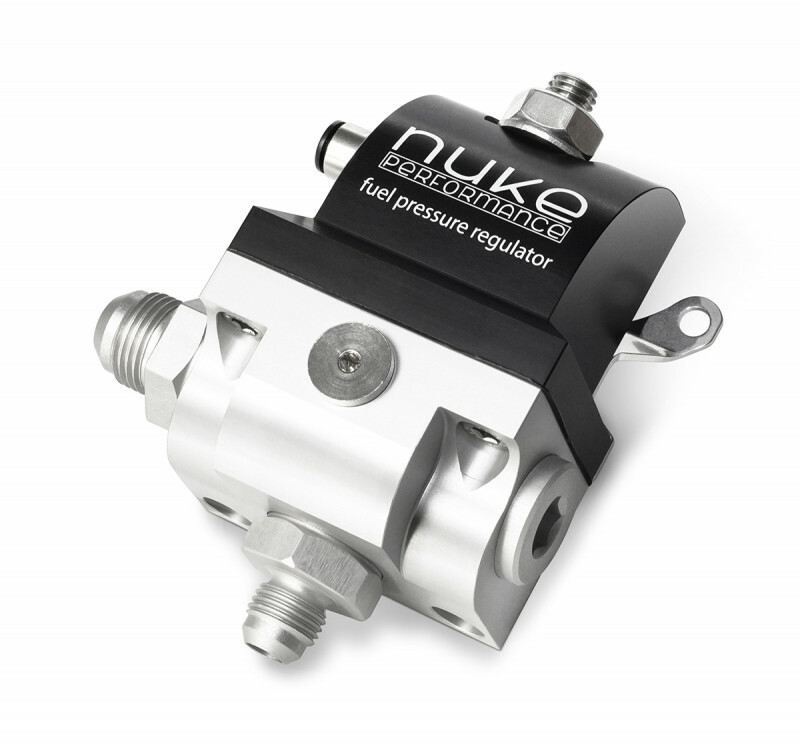 The fluoro nitrile diaphragm is designed to stand up to the destructive properties of alcohol fuels, including methanol and ethanol, making this regulator E85 compatible. 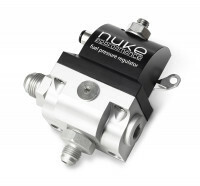 The fuel dual fuel inlet allows fuel to enter from either side or both sides when needed. 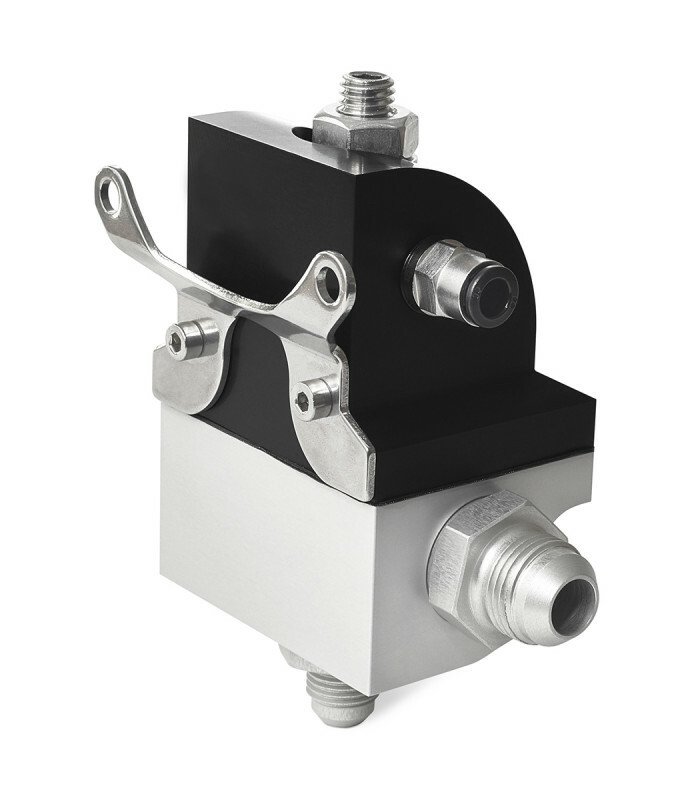 Included is a stainless steel mounting bracket for easy installation and a corrosion-free appearance.  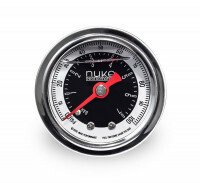 The fuel pressure gauge thread is 1/8" NPT. The regulator comes with 2x 3/4 UNF to AN-8 fittings and 1x 3/4 Plug, as well as a quick connect 6 mm pneumatic fitting.